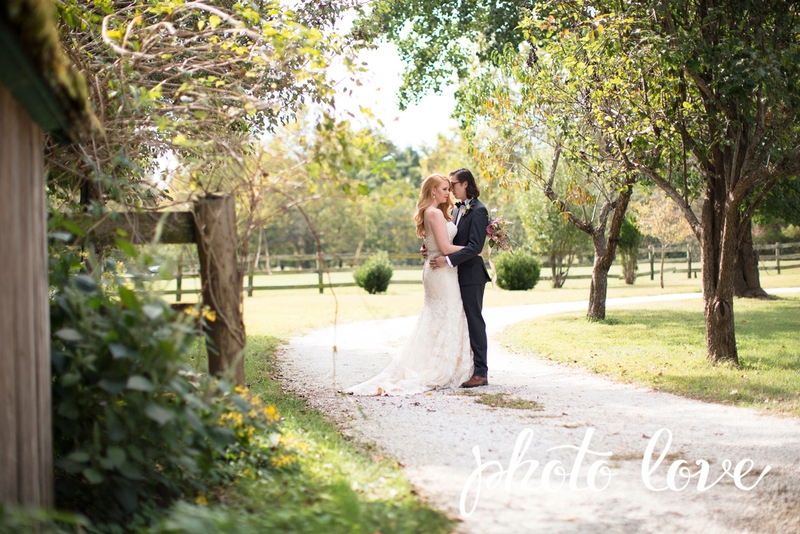 Deirdre and Will were married this fall at Creekwood Gardens in Rogers, Arkansas. 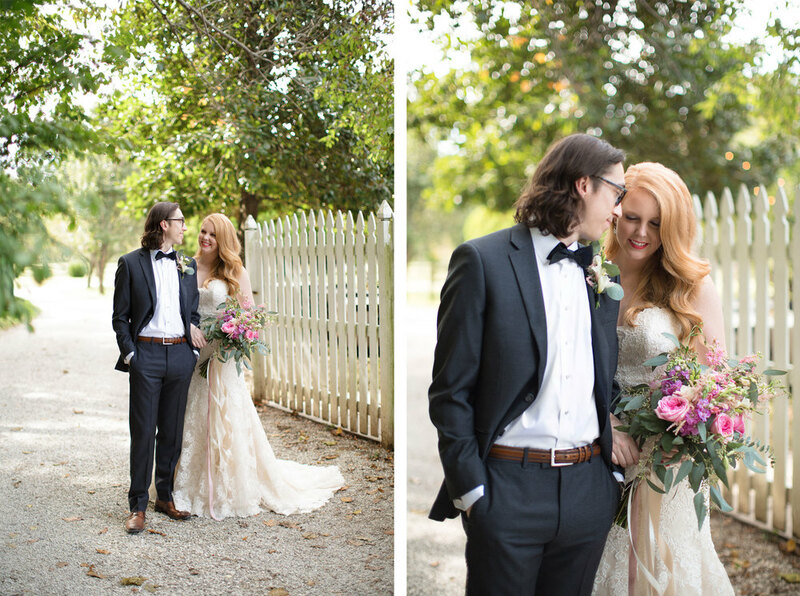 The bride and groom have always loved the outdoors and really wanted a venue that was luscious and green, so Creekwood Gardens was a perfect fit! It combined a natural feel with colors of pinks and golds to create an elegant and glamorous theme for their wedding! 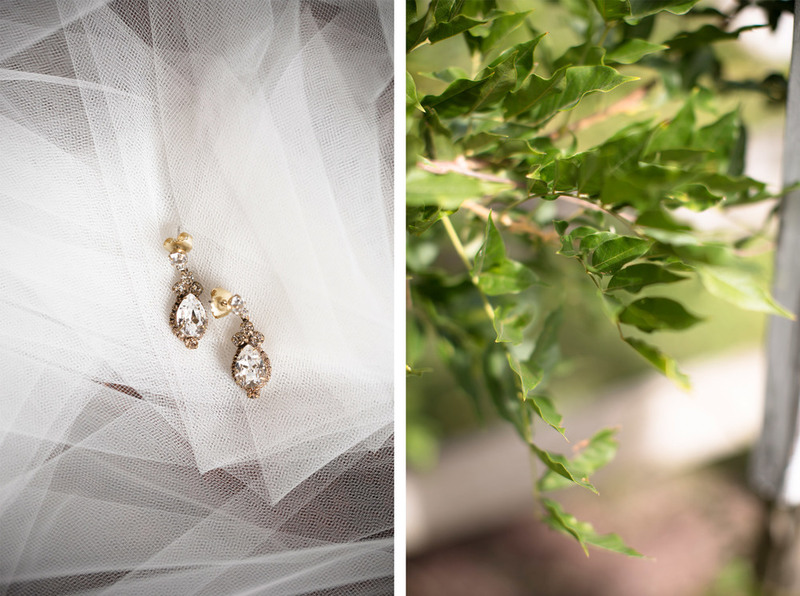 The bride and groom decided to go with a color scheme of pink, gold, and green with simple floral patterns to help make their wedding classic and elegant. 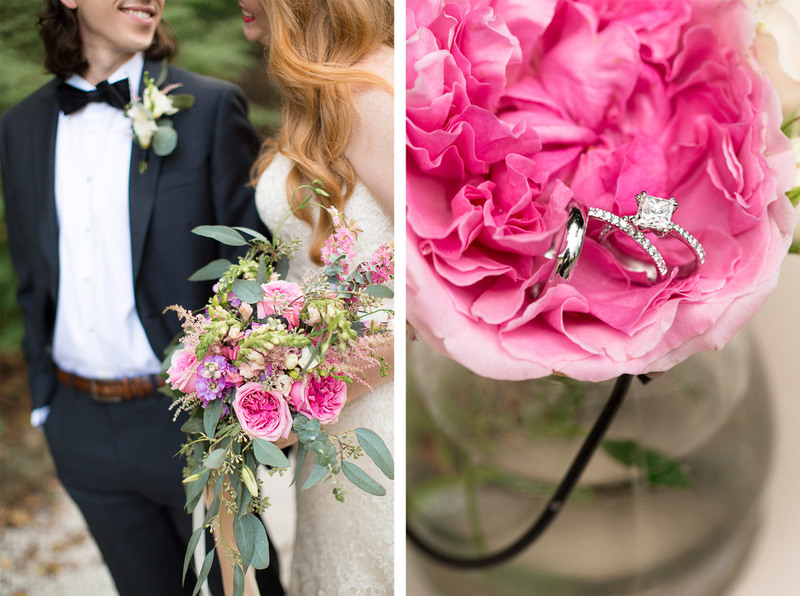 All of the flowers were a mixture of pink garden roses, wild flowers, and greenery elegantly arranged by Lisa Dawson. The flowers matched the designs on the wedding paperwork perfectly which were all hand created by various artists on Etsy. Shelby Lynn's Cake Shoppe even used the same pattern on the wedding invitations to create the floral pattern on their wedding cake! Most of the wedding guests came from out of town or out of the country. To help make them feel welcome, Deirdre and Will put together welcome packages that featured a golden Arkansas with a heart over the northwest corner. Their "thank you" gift was a mixture of hand picked favors of candied popcorn and homemade candied nuts in mason jars with a simple floral covering to match the wedding. Everything from the invitations to the centerpieces was glamorous and elegant. To see more from Deirdre and Will's amazing afterparty check out Part 2 here!